I was born a fashionista. From the white socks with the rainbow beads tied around the edges to subscribing to Vogue, fashion has always been my lover. So imagine my delight when over the past few weeks I have been inundated with instances of how fashion and design are colliding in incredible ways. These are not simply the latest fall trends. Nor are they highly tech oriented explorations which still have the Arduino boards attached to them. No. These are beautiful, refined pieces of fashion that go above and beyond the call of duty and achieve something truly remarkable. 1. Seated Design: As if I needed another reason to love NPR, they had to go and report on designer Lucy Jones. Inspired by her cousin who is paralyzed, she wanted to created a fashion line that was both stylish and usable for those in a wheel chair. What resulted was a refined collection with clean lines and user centered designs. 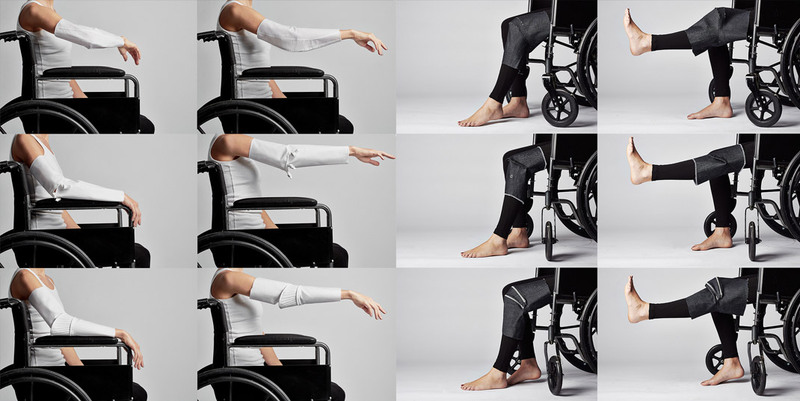 The article goes on to talk about students at the Fashion Institute of Technology who designed for veterans with prosthesis and a blogger who lobbies for stores to carry accessible clothing. 2. Danit Peleg: A brand new fashion design graduate, she promoted this video in july exploring an entire fashion collection made with a 3D printer. Not only are the designs lovely, but this collection pushed the boundaries of 3D printing bringing it out of the tech nerd’s lab and into a environment of elegance. I am so excited to see where she goes. 3. Thinx: Finally, I have to give a shout out to any lady who can successfully use fashion to advocate for women’s rights. Just today, I stumbled upon the ladies of Thinx. They have developed what might be the most insane thing I have seen in a long time. They have designed underwear for your period sans pad or tampon! I know. It seems crazy, but as I (and Buzzfeed) looked into it, i discovered how brilliant these are, and how tirelessly these ladies have been working to develop Thinx. Also, can we just talk about the crazy good branding!? Plus, every pair your buy, supports reusable pads for school girls in developing countries. Being a cause close to my heart, I could definitely get behind that!? So, a huge “WOOO! !” to all the awsome ladies using fashion, design, and technology to help transform lives. Never have I been so proud to be a fashionista. Living on the Straight Edge is the tale of one bull headed and semi-tech-literate woman's journey to becoming an industrial designer. She is overwhelmed, ill prepared and under caffeinated. Straight edge in one hand and felt tip pen in the other, she's ready to take on the design world.